Replacement on/off switch for your Telrad. Simply replaces the current on and off switch on the side of your Telrad finder. Attaching the plastic knob: Included plastic knob press fits over the potentiometer switch. Make sure the unit is switched off. 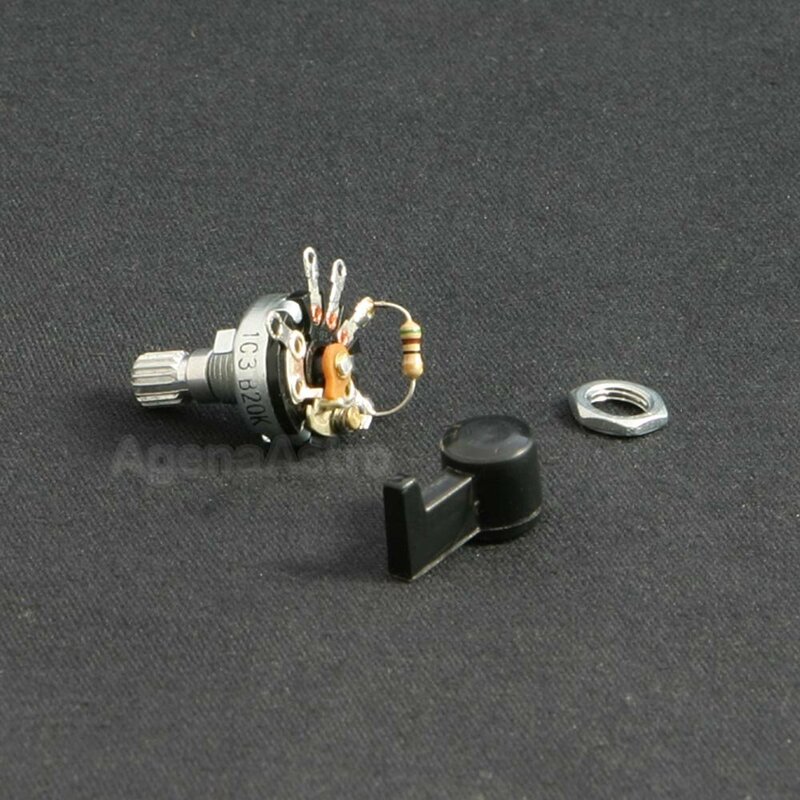 Slide the plastic knob over the knurled shaft of the potentiometer until resistance is met. Then, with the unit lying on its side for support, point the handle to "off" and press it for the remaining distance to engage the short section of interference fit. Straightforward replacement for a broken rheostat. Easily installed and with just a touch of the soldering iron... a 5 minute job. Been looking for these parts for a while; so happy with my purchase! 5.0 Just what I wanted. Perfect replacement for a malfunctioning rheostat. Also replaced the reticle. Easy replacement with clear instructions. Review by Bud of Cocoa, FL. 5.0 Finally up and running! It is SO nice to have a fully functional Telrad Replacement Potentiometer back to work in my telescope. AgenaAstro made it happen for me!